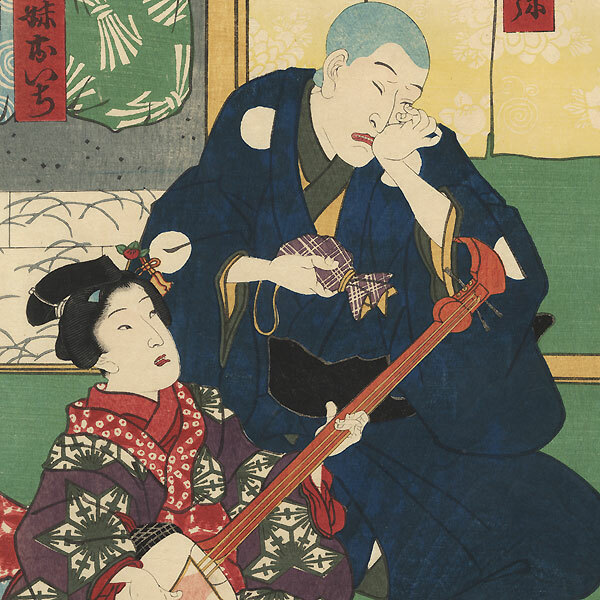 Comments - Interesting illustration from the kabuki play "Tsuta Momiji Utsunomiya Toge," a tale about Bun'ya, a blind masseur. His oldest sister, Osono, sells herself to a brothel so that Bun'ya will have the money to buy his official masseur's license and go into business. Here, Bun'ya is shown weeping after Osono has given him the money, moved by her sacrifice. 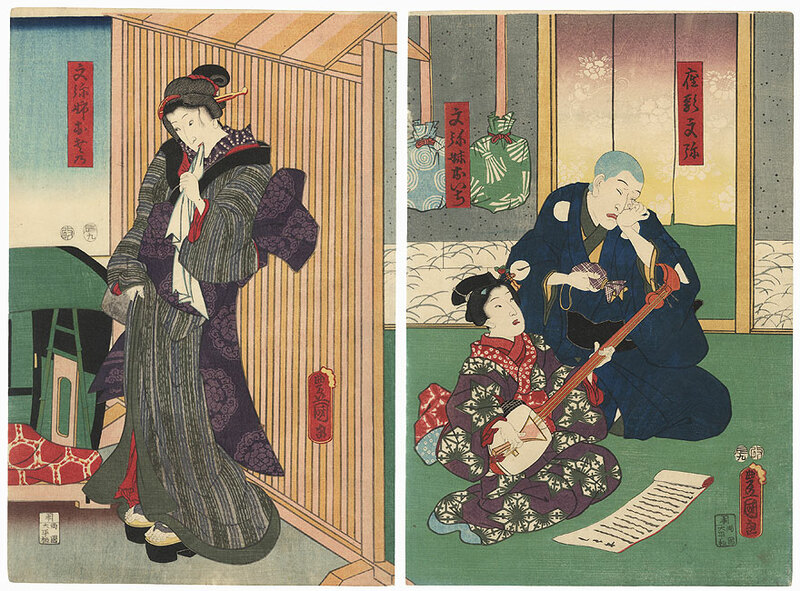 He wipes his eyes as his younger sister, Oichi, practices the shamisen, leaning a song spread out on the floor before her. Osono pauses outside the door as a palanquin arrives to take her to the brothel, shyly biting on a handkerchief, but happy to think the Bun'ya will now have a career. From left, the actors are Onoe Kikugoro IV, Ichimura Uzaemon XIII, and Ichikawa Kodanji IV as Zato Bun'ya. 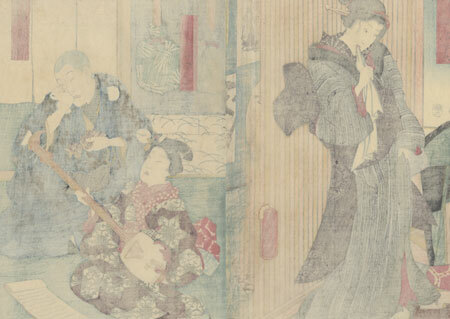 An expressive scene with a nicely detailed setting, including shamisen wrapped in cloth hanging on the wall of the room. Condition - This print with excellent color and detail as shown. Two separate panels. A couple small holes, repaired. Slight soiling and a few creases at edges. Please see photos for details. Good overall.